After taking home a boatload of freshly picked apples from Carter Mountain Orchard down in Charlottesville, I thought about all the great things I could make with my pickings. 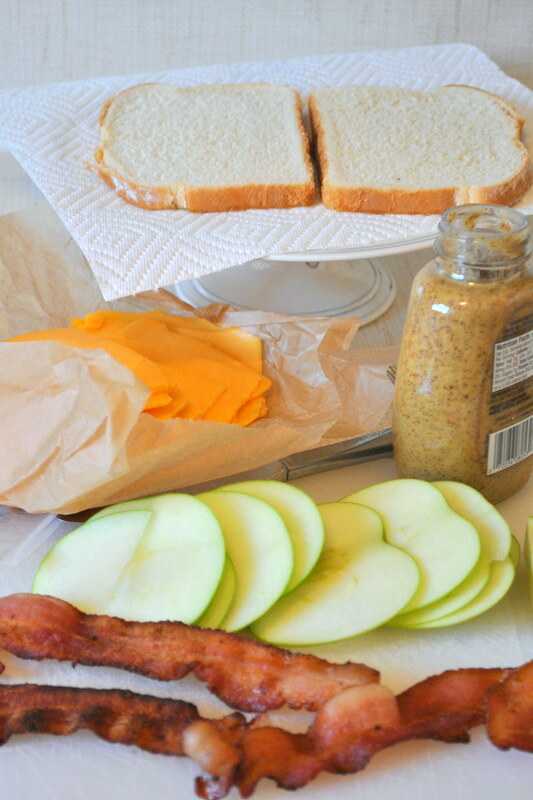 The problem is that many of those things are sweet and I was in the mood for something savory. 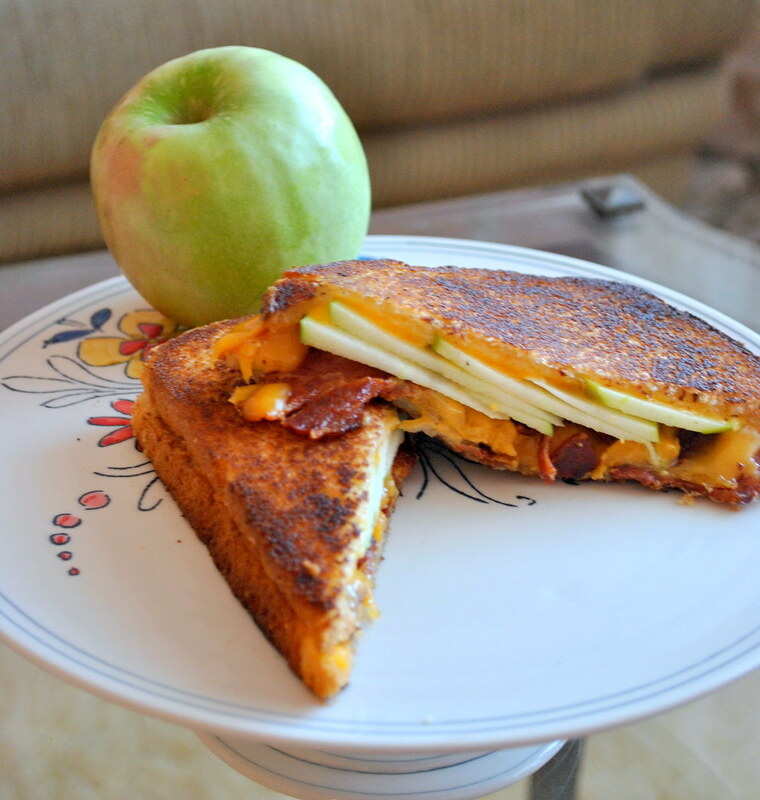 Taking a nod from my favorite food truck (The Big Cheese) that pairs Fugi apples with brie, I decided to grill up one of my Granny Smiths with some honey dijon mustard, Vermont cheddar cheese, and thick cut bacon (seriously who doesn't love bacon?). It was out of this world delish, I suggest you give it a try. It's an easy spin on an old fav. Oh man this sounds soo good. 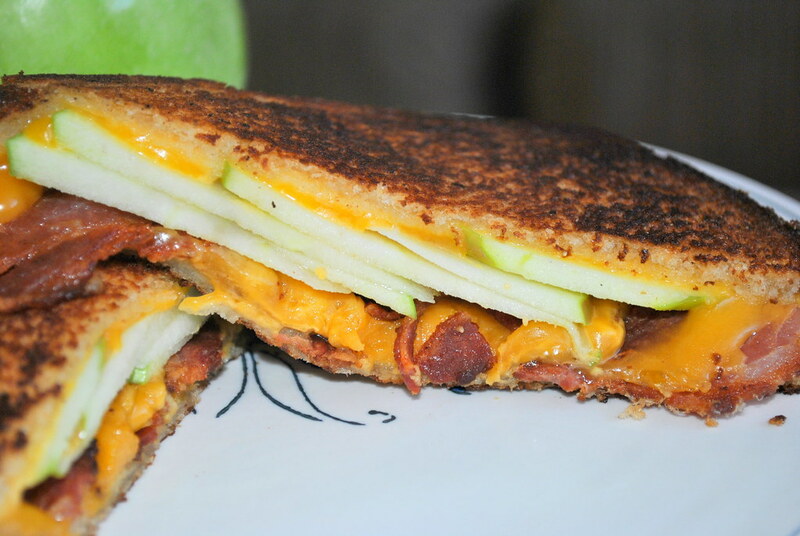 I have been craving grilled cheese and tomato soup all day today! oh my gosh, this sounds super yummy! I'll have to give it a go! 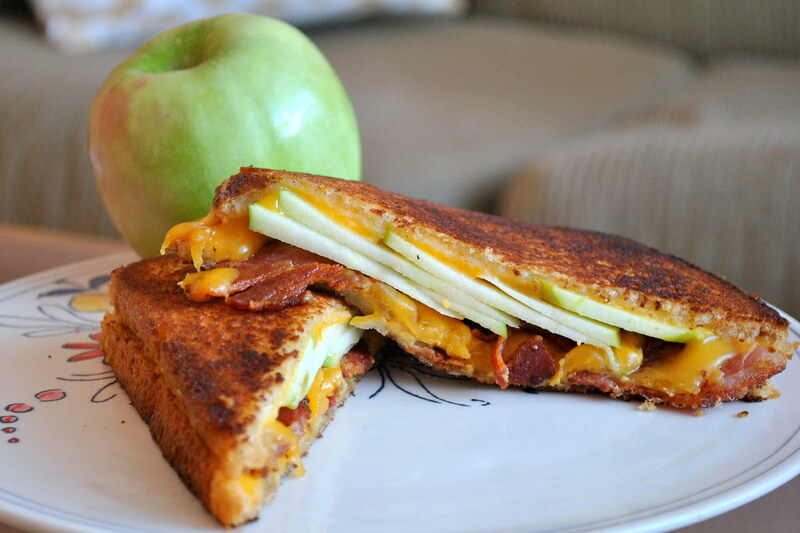 Apple and cheese is SUCH an awesome combo–add bacon for the win!